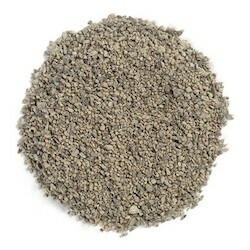 Organic Coarse Grind Black Pepper lends satisfying heat and bite to most any dish. It works well in combination with other herbs and spices and is commonly found in spice blends. Black pepper's woody, floral and pungent flavor is thought to inspire the appetite. Our black pepper is carefully selected from the world's premier pepper-producing regions. Because the coarse grind so closely resembles the look and flavor of freshly ground peppercorns, it's often favored by gourmet cooks.